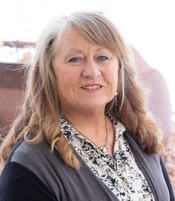 Kathy is also a co-founder who over the last 40 years has been schooled and trained in areas of iridology, herbology, neutraceuticals, creative healing, essential oils and Foot Zone Therapy. 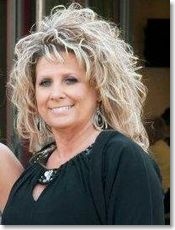 Read more about Kathy on our Co-founders page. Christine is also a co-founder of the Academy of Foot Zone Therapy. She and her partner Kathy Duvall created a full curriculum and four text books, which laid the foundation for building the academy. Read more about Christine on our Co-founders page. I was born with a large tumor on my face. When the medical professionals told my parents that there was nothing that could be done, my parents refused to believe it was true. At a time when being involved with alternative healing was considered a reason to be shunned, my parents were brave enough to persist until they found a cure. This is the foundation I grew from. At an early age, I was trained by a master herbologist. I earned a degree in business management from and ran a one room cooking school, with a mini cooking show, for 3 years. I married late in life and focused those single years on learning. What I once thought was a curse is clearly a blessing now. Because of my early circumstances, I have been blessed to learn and study many modalities. Not a day goes by that I do not live the lessons that I learned in all those classes and seminars. Through it all, nothing has touched my soul as much as Foot Zone Therapy. I truly feel that when done correctly, it is the most effective and complete modality available. I say this innocently and honestly. Foot Zone Therapy can “stand on its own feet.” Aside from my husband and sweet daughter, Foot Zone Therapy is my passion and I am eager to share it with the world. 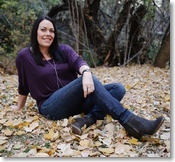 Ryan is a wellness practitioner in the Northern Utah area. His formal education includes a BS in Business Administration with minors in Food Science and Economics. He became a Certified Foot Zone Therapist in 2006 and a Certified Instructor in Foot Zone Therapy in 2009. His interest in Holistic Medicine has now evolved into a full time business. 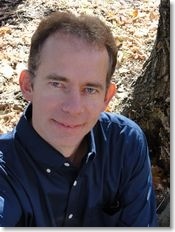 Ryan has had additional training in Iridology, Aromatherapy, Auras, vibrations of energy, Biofeedback, Kinesiology and gemstone and crystal energy. He continues his search for other healing modalities that compliment Foot Zone Therapy. Trudy grew up believing doctors were gods and was a dutiful patient until she turned 37 yrs & suddenly they couldn’t help her, which was a blessing since it launched her into the world of natural healing. Where she found the health she’d prayed for so many years. 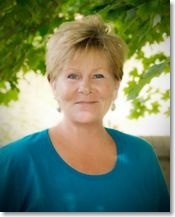 Always an avid student, she was soon using Reflexology & Kinesiology to help others heal (at no charge). She learned about cleansing, exercise & using herbs and oils. 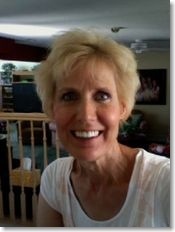 She regained her health while helping others begin to heal, including her husband and 6 children. Foot Zone Therapy has opened to her greater access to the healing power of the human body. She has thrilled to see her clients bodies respond to the zoning and heal in ways she had only hoped for while using Reflexology! 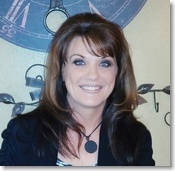 Many of her clients drive 50 miles round trip from St. George, Utah 2-4 times a week for her foot zones. Trudy Loves Teaching! 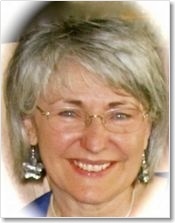 She has taught classes on many different topics nearly every week for 40 years. She has been a sought-after teacher of piano, guitar, horseback riding, family history research, theology and now Foot Zone Therapy. She Loves Life and People… and especially loves watching the thrill of discovering shine in the faces of her students. Teaching Zoning… knowing she is giving another person the tools to bring healing to others, as well as gain a useful life time trade which will allow them to provide for themselves, has been one of the most rewarding teaching experiences of her life. Trudy has bunk houses and guest rooms at no charge for students from out-of-town. For many years I have been keenly interested in natural health and healing. It has always made good sense to me. I made it a matter of self education for a long period of time, and saw first hand what it can do to benefit people, and enhance their health. Then I learned of Foot Zone Therapy, from AFZT co-founder Kathy Duvall. At the time we lived in the same area, and I saw first hand people experience tremendous health benefits as Kathy zoned family members and friends. I became then made the commitment to become a Zoner with the AFZT. Now I have my own personal experience helping others maintain maximum health through my own Zoning efforts. My belief was so deep I decided to become certified to teach Zoning through the AFZT. With that accomplished I am now dedicating my career time to this tremendous health modality. Feel free to contact me any time. 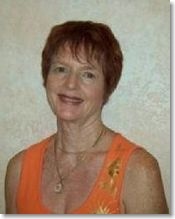 Mary Ann Lowe, licensed Massage Therapist, Reiki Master Teacher, provider for California Board of Registered Nursing Contact Hours. Foot Zone Therapist and Instructor and Lypossage Therapist. 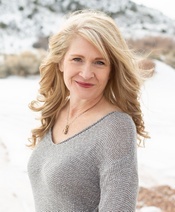 Mary Ann has been working in the healing arts field for eleven years providing Foot Zone Therapy, Reiki, Massage, Shamanic sessions, Detox Wraps and Energy Protocol for Spine and Back and Crystal Light Healing Bed. Mary Ann received her training and California State Certificate from the Healing Oaks School of Massage (formerly the Thomas Institute of Massage in Westlake Village CA) now located in Simi Valley, CA. Because Ms. Lowe is passionate about the importance of " total body balance," she is a practicing Reiki Master Teacher conducting group or private classes for all Reiki levels. She organizes community outreach opportunities for students at the Cancer Hope Foundation events and St. John's Hospital Cancer Center. Additionally, she volunteers at the Cancer Center, the Simi Valley Senior Center and has worked with hospice patients in the Conejo Valley. 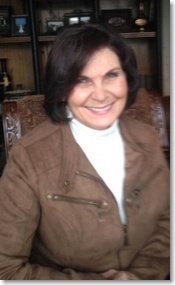 Mary Ann's motto is "Balance Your Body, Balance Your Life!" MAKE YOUR BODY A GREAT PLACE TO LIVE! I remember my mother as always suffering from severe health problems. She had rheumatic fever as a child. Doctors were never really able to help and she died at the age of 51 after suffering physically and mentally. However, there was a period of time when she felt considerably better. We lived in a small town in Idaho and she saw a doctor who was blind. He worked on her feet. I wondered how “working” on her feet could have such a pronounced effect. I have always wondered how her life may have been different had we not moved. Fast forward (quite) a few years and I had the opportunity of hearing about, experiencing, and then participating in Foot Zone Therapy. Since becoming involved in Foot Zone therapy, I have experienced a dynamic shift in my health and experienced first hand it’s amazing effect on the health and well-being of others. Illness and depression have become a thing of the past; pregnancy and monthly cycles have returned to their proper balance that God and nature intended. I have a firm belief that given the right tools - i.e. detoxing, optimum nutrition, exercise, nourishing the mind and spirit, and of course getting Zoned regularly - the body can and will heal itself. I believe God has given us everything we need in order to do this. I have attended two foot zoning schools and am excited to be an instructor for the Academy of Foot Zone Therapy. I love teaching others and enabling them to change their lives and the lives of their family and friends. Make the choice to take on your own power and CHANGE YOUR LIFE! Like so many, I was raised to rely on traditional medicine for everything related to health and wellbeing. In looking back on many of my encounters with doctors, I remember even as a child feeling as if I was part of an experiment and that “Real Issues” were being overlooked. I believe it was no accident that as a young mother with no medical insurance, I was presented with a book about herbs. As I applied what I read I witnessed prompt, miraculous responses in myself, my children, my friends and even our pets. I knew immediately what I’d been missing and the world of holistic approach opened up before me. I began a quest for more knowledge, to find my own niche and a long search for the most sensible, inclusive and comprehensive discipline within the natural healing arena. That quest led me to the FOOTZONE. Once again, the right circumstances to do the right thing were created and laid at my feet. I enrolled in classes through the Academy. I practice and teach where I reside in Cedar City, UT, but also go where I’m needed. I sincerely look forward to zoning you, teaching you, learning from you and learning with you. I am a mother to my four magnificent and powerful children and grandmother of two amazing kiddos full of joy! For the past several years on my personal journey, I have had the incredible opportunity to learn, grow and have the realization of how powerful I really am. I embrace my passion and purpose, which has been truly inspired by the miracles and healing benefits of Foot Zone Therapy in my own life. I know that I have found my calling, which is to facilitate and nurture others in tuning into their own powerful abilities to heal and create balance in their own bodies and lives. I have been involved with Foot Zone Therapy since 2001 and through studying and practicing since 2004, I have continued to expand my knowledge, tools and techniques. I have loved teaching this necessary modality since 2009, and I have enjoyed the benefits of balance and wholeness my clients and students receive through the Zone. Being a seasoned energy healer and visionary I also work with Massage therapy, Ancient Tibetan Bowls, Light-body healing, Reiki, aromatherapy and gemstone and crystal healing. My goal and commitment is to assist others in owning their power and choice in healing their own body and spirit and together we heal humanity. AND SO IT IS! I am Angela Saxton, Wife, Mother, Grandmother, Registered Nurse, Certified Foot Zone Therapist, Simply Healed™ Practitioner, and Reiki Master/Teacher. I am a free thinker in pursuit of truth and wholeness for our health. I went back to school in 1999, graduated with my nursing degree in 2004. I love caring for people, it is one of my greatest honors as well as responsibility’s. I love Energy work, receiving results without invasive procedures or a slew of medication to be taken daily is AWESOME. Life changing! Bach flower remedy and tapping. My passion, purpose & Goal is to live each moment as my authentic, most excellent self.... To encourage, assist, inspire and motivate my family, friends and others to live up to their most excellent self’s with balance and health. Roshelle has been a Washington County resident since 1987 and studied history, language and nutrition at the University of Utah. Living in Europe for over 15 years, she was exposed to various natural health practices and nutrition, which made a deep impression on her outlook of health and wellness. Upon being introduced to foot zone therapy, she said she knew it was something she had to pursue. 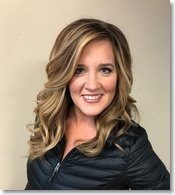 She completed her certification under Kathy Duvall, founder of the Academy of Foot Zone Therapy, and became the first foot zone instructor in the St. George area. She is committed to assisting people who are sincerely interested in their overall health and wellness, and believes foot zone therapy is a cornerstone to giving the body the help it needs to strengthen and balance. As a young mother I spent years watching my mother-in-law search for alternative healing methods. I had also watched my own mother rely on many doctors and prescriptions for her health issues. As I watched my mother live with one ailment after another, while my mother-in-law lived a vibrant healthy life, I became more and more interested in natural healing methods. When my 6 children were very young I came across a newly formed Aloe Vera company, and heard what amazing things it was doing for people. I joined the company and soon became a General Manager. I spent many years using the products, and introducing the awesome benefits of aloe vera to others. Of course this led me to many other wonderful things, like essential oils, natural foods and supplements, relieving pain with pressure points, and eventually Foot Zone Therapy. I always loved giving neck and foot rubs for headaches and other aches and pains, not realizing why these things helped. I also learned from my father, to garden and grow our own organic food. Over the years I have had a lot of different interests. I enjoy working with my hands and creating things, I owned a boutique, and worked as a flight attendant. Later I owned and operated Premier Driving School for many years, where I learned that I really enjoy teaching. When my parents were in their 80s, they both needed a lot of care so I took off several years to help take care of them. y passed I was searching for something new to begin. I wanted something that I loved doing where I could meet nice people, and help others. Out of the blue a friend of mine called and said she had something she knew was just for me, and of course it was Foot Zone Therapy. Her excitement about it was very contagious. I was fascinated and began researching Foot Zone Therapy. I called all the different schools, and loved best what I heard from Christine Christianson. The rest is history. I've had such great success with fibromyalgia and neuropathy, as well as many other health issues, and it is the most rewarding thing I have ever done. Now the ultimate is teaching others and sharing it with people in Oklahoma, where hardly anyone has even heard of Foot Zone Therapy. My husband, an engineer, was my greatest skeptic when I started zoning. I've always called him my 'lab rat' because he had many health issues. He is so impressed with the results on his own body that he’s going to jump in and learn Foot Zone Therapy. I am the 2nd oldest of 9 children raised by a mother who was before her time with health care. I learned about herbs and oils well before those things became popular. With the birth of my last child I became much more interested in learning about health and nutrition. You see, he was born with Down’s Syndrome. I didn’t know the first thing about that and so I began a very intense study of all things related to health and nutrition. I learned many modalities on my way to Footzone Therapy and have continued with this modality as I have found it to be the simplest way to help the body with healing. I love people and I love when there is something I can do to help them. Very soon into experiencing the Footzone I knew I needed to learn how to do this myself to help my family. While I was learning of all the benefits and practicing the footzones on other people I felt a need to expand what I could do by one footzone at a time. I wanted to instruct so I could help many more people receive these benefits. I believe self care is the best care and if we had someone in every household in this country, we could reverse the decline in health nationwide. I like to incorporate healthy nutrition, emotional health techniques, healthy habits/practices, and stress reduction techniques in my lessons as well as other modalities that support the Zone. I believe we are a whole being and not just a sum of our parts and we should be treated that way. In my classes I address the whole body and give you many tools to help in educating your clients so they will experience whole body wellness. Call or text me (801) 678-6913 with any questions. Private lessons are available upon request. Bring a friend with you and get $100 off your tuition. I look forward to having you in my classroom and helping you to imagine and achieve your goals of becoming a Footzone Therapist.